Once, there was a dictator so evil he forced upon the masses an industrial beer that had no soul. But then, one good-hearted man, or perhaps many posing as one, rose up and concocted a despot-dethroning flavor bomb that could save the world. 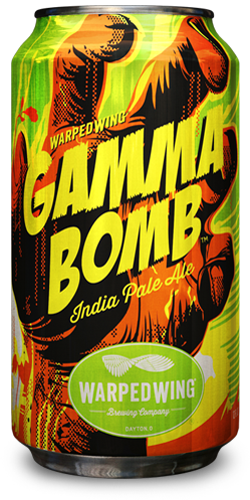 Gamma Bomb IPA. A piney India Pale Ale. Exploding with hoppy goodness. Pull the pin.